Nov. 2, 2018 • 8 a.m. The general membership meeting of the Journalism Education Association was held Friday, Nov. 2, 2018, in Grand Suite 3, Ballroom Level at the Hyatt Regency hotel in Chicago. It began at 8:01 a.m. and was presided over by Sarah Nichols with Val Kibler as secretary. Board members: Sarah Nichols, president; Val Kibler, vice president; Lori Keekley, scholastic press rights director, Megan Fromm, educational initiatives director; Laura Negri, director at large; Michael Malcom-Bjorklund, director at large; Julia Satterthwaite, director at large. State directors: Leslie Dennis, Marsha Kalkowski, Heather Nagel, Dennis Leizear, Albert Dupont, Maggie Cogar, Matt LaPorte, Nancy Hastings, Danielle Ryan, Brenda Field, Christine Brandell Melendez, Larry Steinmetz, R.J. Morgan, Erinn Harris, Linda Ballew, Marva Hutchinson, Erin Sucher-O’Grady, C.E. Sikkenga, Albert Dupont, Michelle Harmon, Marina Hendricks, Bretton Zinger, Nancy Olson, Kristi Rathbun, Beth Ann Brown, Renee Burke, Justin Turner, Susan Massy, Anne Hayman, Laurie Hansen, Greg Gagliardi, Christine Brandell Melendez, Brian Eriksen. * Approved signing the contract for the Philadelphia convention in 2021 by a 7-0 vote. * Approved a bylaw change that will eliminate regional boundaries for the director at large positions on the JEA board. Passed 7-0. Executive Director Kelly Glasscock will handle the logistics of the change. * Chicago will be the second largest convention with 6,360 students in attendance. * Chicago expenses have been far more than we anticipated for the convention, especially audiovisual costs. * Glasscock highlighted new events at this convention including the pizza party for students which sold out quickly and freed up advisers to judge Write-offs if they elected to. The pizza event rolled right into the evening’s entertainment so advisers would feel comfortable that their students had something to do. * Glasscock also noted the new computer lab provided by JEA at this convention for the first time. It will allow for more hands-on classes and certification testing with Adobe Certiport and Precision Exams. * Philadelphia was approved for 2021 at the Marriott property. Glasscock noted numbers were strong last time we were there in 2007. Howard Spanogle talked about the cleanliness of that particular property during our last convention there. * The proposal from Portland that we were ready to sign is now off the table at no fault of either the JEA or NSPA offices. Glasscock and NSPA Executive Director Laura Widmer are exploring contacts for other cities. * We have now reached a long-standing goal of having over 3,000 members. Kelly Glasscock checked and double checked the accuracy of this number. * Looking at our statement of activity, Glasscock noted it often appears we’re in the negative because we’re paying bills before we get a check from NSPA for the convention. * We currently have $1.6 million in total assets. Keep in mind much of our revenues are from just two long weekends a year. * The intent is not to show a profit each year but rather to spend to give back to our organization’s members. Nichols thanked folks for attending the general meeting. * She noted our organization is doing big things all year long. * Nichols complimented Evelyn Lauer for her efforts with JEA’s social media since it’s such a wonderful way to stay engaged. * Nichols also highlighted updates from our different partnerships. * We are working with NSPA to continue to grow the conference experience and strengthen our partnership. * Our relationship with SPJ continues to grow. The Press for Education initiative has been very popular and Nichols encouraged attendees to spread the word and continue to apply for a classroom visit. Almost 900 classroom visits have been done by professionals at this point. * We are gearing up to send our largest delegation to the NCTE fall conference in Houston in 10 days. Their theme this year is raising student voice, which aligns perfectly with our New Voices campaign and much of our programming. * Our relationship with NAMLE also continues to grow. They hosted a media literacy workshop at this convention, and Media Literacy Week is next week. * Our P21 relationship not as strong mainly because of a lot of organizational leadership changes on their end. We still a lot of value in being connected with P21. * Nichols noted Val Kibler’s efforts to begin a series of virtual workshops. This is allowing wonderful teachers from around the country to connect digitally with classrooms/students/advisers who aren’t able to attend our national conventions and need guidance. Cost to our organization is nothing. * Jonathan Rogers, NCTE: Rogers, Sarah Nichols and Lori Keekley will be presenting three sessions at the NCTE conference in Houston in two weeks. JEA personnel will also be conducting a membership drive at the JEA booth. Rogers also has been engaged in some professional outreach with Adobe. His session at 10 a.m. will talk about using Spark in the journalism classroom. * Karen Slusher, Awards: Slusher noted multiple advisers will be recognized at the advisers luncheon tomorrow. The next awards deadline is Dec. 15. She also gave a shout-out to the awards committee for the long hours they put into judging so many applications. * Kelly Furnas, Global Engagement: Furnas discussed his continued interactions with JEA China, and current conversations he’s having with Canadian representatives that began just a few months ago. He’s looking closely at making connections with military bases and American schools abroad. * Megan Fromm, Curriculum: Fromm’s curriculum team has curated lessons for a variety of levels on the website. They have been extremely busy fixing and updating the lessons and correcting broken links. * Lori Keekley, Scholastic Press Rights: Keekley talked about the success of the press rights summit yesterday. She also noted that the panic button is alive and well. The SPRC committee has developed an educational campaign for the 50th anniversary of the Tinker decision. They have printed 2,000 postcards and asks that students/advisers fill them out while they are here. The notes will be sent to Mary Beth Tinker on the anniversary of the decision. First Amendment Press Freedom Award application is now open, and advisers and students should find it a little easier to complete. Keekley also extended an invitation to join SPRC. * Kim Green, Certification: Green reported we are testing 30 CJE applicants and five MJE applicants this afternoon. She thanked Liz Walsh for 10 years of service to the certification committee. Kathy Craghead had been an incredible asset to the committee, and Green noted a scholarship that has been established in her honor at Ball State. It will be primarily for students who have attended multiple workshops. * Patrick Johnson, Mentoring: Johnson reported there are over 150 mentees around the country. He encouraged everyone to contact with him to get help from mentors. * Evelyn Lauer, Social Media/PR and One Book: Lauer discussed a session she’s doing here in Chicago on the JEA One Book “The Hate U Give” on how journalism teachers can use the text in classes. Lauer has been doing Teacher Takeover Tuesdays with JEA social media. Teachers have been asking to do takeovers. She encouraged teachers to volunteer if they are interested. She has worked with Adam Dawkins, Scholastic Journalism Week chair, to tie in logo contest with Write-offs. Lauer and Dawkins are extremely excited about this year’s winner. * Rebecca Pollard, Journalist of the Year: Pollard announced the deadline for state winners to be submitted to the national JOY contest is once again March 15. State directors need to update their submission info on the JEA website. * Brenda Field, local chair for Chicago convention: Field encouraged everyone to come to the SPLC auction tonight. There will be 47 items available and free raffle tickets are available in adviser bags. Attendees can purchase additional tickets tonight. 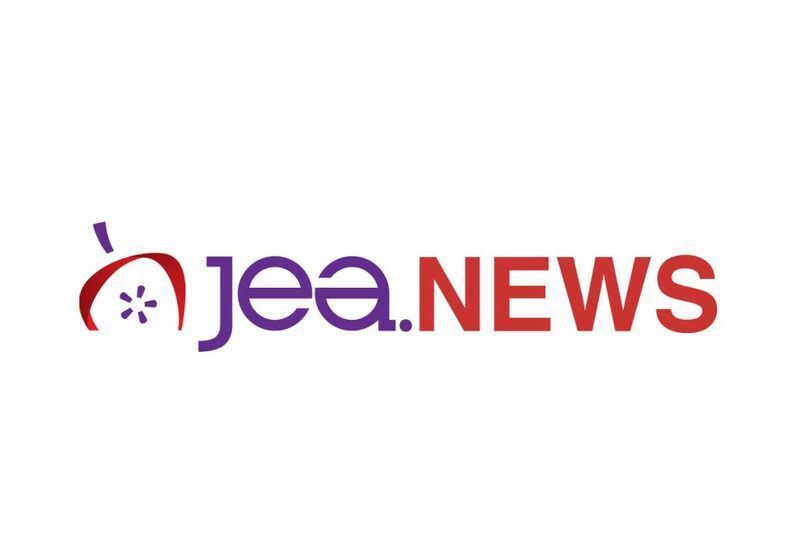 * Aaron Manfull, JEA Digital Media: Manfull announced that the committee meets tomorrow morning. He would like a lot more submissions for the Newsroom Project he has developed for the site. The project showcases journalism classrooms around the country and provides an amazing idea bank for advisers. * Howard Spanogle, C:JET assistant editor: Spanogle asked that everyone help him and Bradley Wilson by submitting coverage ideas. They have begun to feature some in-depth coverage ideas such as the covering suicide package that appears in the winter issue. * Julia Satterthwaite made a motion to commend the efforts of the Chicago local committee for a job well done. It was seconded by Megan Fromm. The motion passed unanimously. Mike Malcom-Bjorklund moved and Lori Keekley seconded to adjourn the meeting. Sarah Nichols adjourned the meeting at 8:51 a.m. The next meeting of the general membership of the Journalism Education Association will be 8 a.m. April 26, 2019, at the Hilton in Anaheim.